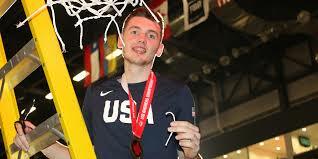 A major Duke target, Matthew Hurt, announced this afternoon that he will be the newest Blue Devil. The 6-9, 210 pounds, Minnesota native played his high school basketball for John Marshall in Rochester. Hurt will join fellow Minnesota native Tre Jones who elected to return for his sophomore season. It is believed that this helped in his recruitment. Duke had been a favorite for the last several months and Hurt spurned Kansas, Kentucky and North Carolina to play in Durham. Hurt received 19 total offers but many teams fell to the wayside with him being a consensus five-star prospect. The Blue Devils head coach, Mike Krzyzewski took a vested interest in Hurt's recruitment where he played. Duke played the long game with Hurt, whom they knew would not make an early decision. Duke assistant coach Jon Scheyer was the lead assistant in Hurt's recruitment. The entire Duke coaching staff visited in-home with the Hurt family in early March. The fact that four blue blood programs saught Hurt's services speaks volumes with concern to his talent. A very skilled offensive player with size, Hurt is all but penciled into next years starting five. 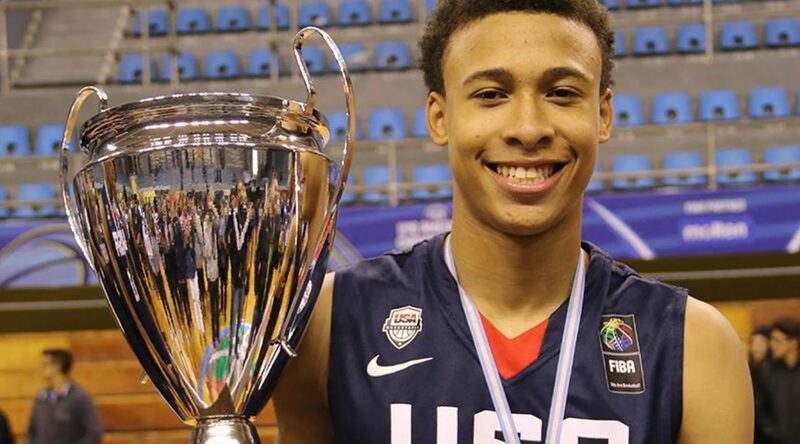 Hurt was a mainstay on Team USA during his high school basketball career. He was also named to the McDonald's All American game. Hurt also garnered the Minnesota Mr. Basketball Award. With Hurt on board, the Blue Devils will now turn their attention to Cassius Stanley, a high-flying, top-rated shooting guard from California. He will make his decision this coming Monday. Hurt joins Vernon Carey Jr., Wendell Moore Jr, and Boogie Ellis giving Duke one of the nation's elite recruiting classes. 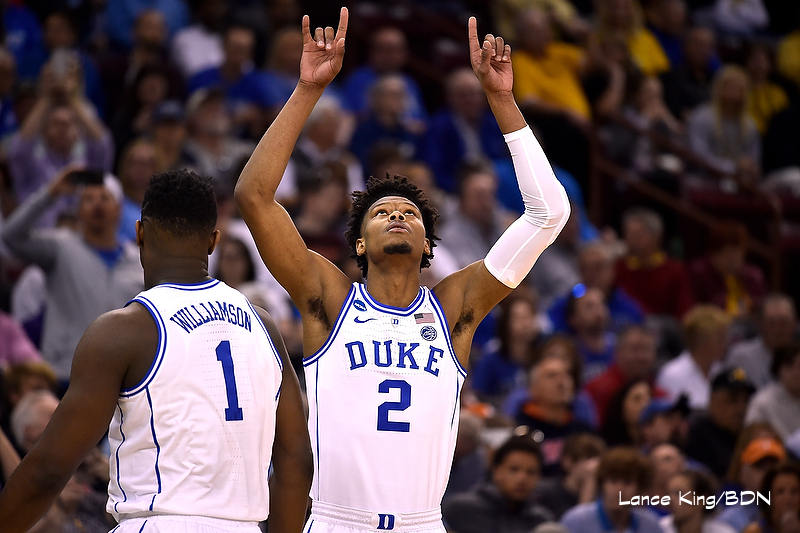 DURHAM, N.C. – Duke freshman forward Cam Reddish has announced that he will enter his name in the 2019 NBA Draft. An honorable mention All-ACC selection, Reddish completed his freshman season at Duke averaging 13.5 points, 3.7 rebounds, 1.9 assists and 1.5 steals. He made 33.3 percent from three-point range, and was the team’s best free-throw shooter. Reddish was his best in the clutch, draining a game-winning three-pointer before the buzzer to beat No. 13 Florida State in Tallahassee and scoring 16 of Duke’s final 30 points during a furious second-half comeback win at Louisville. He drained a clutch three-pointer in the final two minutes against UCF, helping Duke reach the Sweet 16. Reddish scored 22 in Duke’s season-opening win over Kentucky, with his career-high of 27 coming against North Carolina in Chapel Hill. The Blue Devils have had at least one player selected in 31 of 38 drafts under Krzyzewski. Coach K has tutored a total of 61 draft picks since taking over the Duke program, including a Draft-record 38 first-round selections. The Duke Men's Basketball staff will be out on the road recruiting as the open period begins today. The NCAA allows the team to have on and off-campus contact with student-athletes through the 14th. The Blue Devils got a shot in the arm when Tre Jones decided to return for his sophomore season but they are now trying to finalize next years roster. To read the entire information laced article join Blue Devil Nation Premium during our current discounted yearly rate and finish off the latest article on the Blue Devil Nation message board. 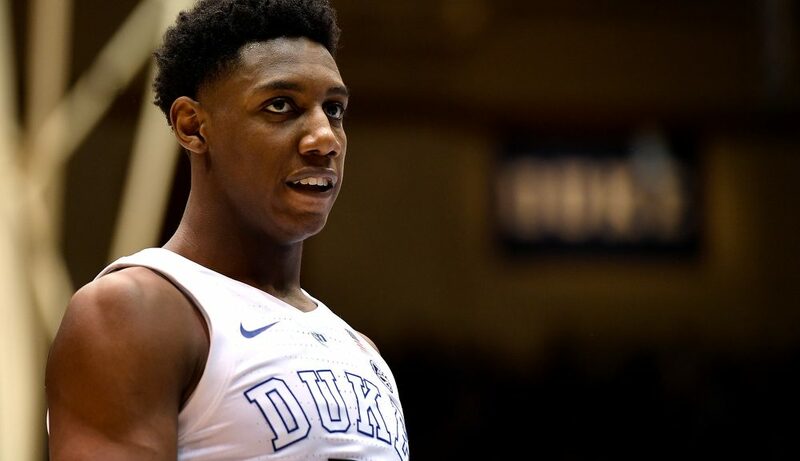 DURHAM, N.C. – Duke freshman forward RJ Barrett has announced that he will enter his name in the 2019 NBA Draft. A first-team All-ACC selection, a consensus first-team All-American, and the USA Today National Player of the Year, Barrett was tied for the ACC lead in scoring with classmate Zion Williamson at 22.6 points per game. He broke both the Duke and ACC freshman scoring records with 860 points, and finished with the second most points by a Duke player in a single season, trailing only the 941 points by J.J. Redick in his 2006 senior campaign. Barrett was the only major conference player to score 13 or more points in every game he played. He and Williamson became the first freshman teammates in NCAA history to each average 20 points in a season. Barrett’s 402 points in home games broke the Cameron Indoor Stadium single-season record. As the final buzzer closed on the 2019 basketball season in Minneapolis last evening, Virginia was left standing as the national champion. The Duke Blue Devils defeated the Cavaliers twice in the regular season but fell short of their goal with a one-point loss to Michigan State. It didn't take long for Las Vegas to make the Cavaliers the choice to repeat, but the Blue Devils are right there with them, listed at a slightly less favorite. The bottom line is that despite the disappointing loss in the tournament and departure of monster talent to the NBA, Duke Basketball never stops. On the same day as the final, Tre Jones officially announced his return to Duke. And that is a big deal in that he will not only improve as a player but provide instant leadership as a likely captain to be. 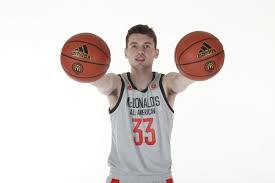 The return of Jones also bodes well for Duke landing coveted prospect Matthew Hurt. There is an instant Minnesota connection between Hurt and Jones and undoubtedly contact between the two about playing together. 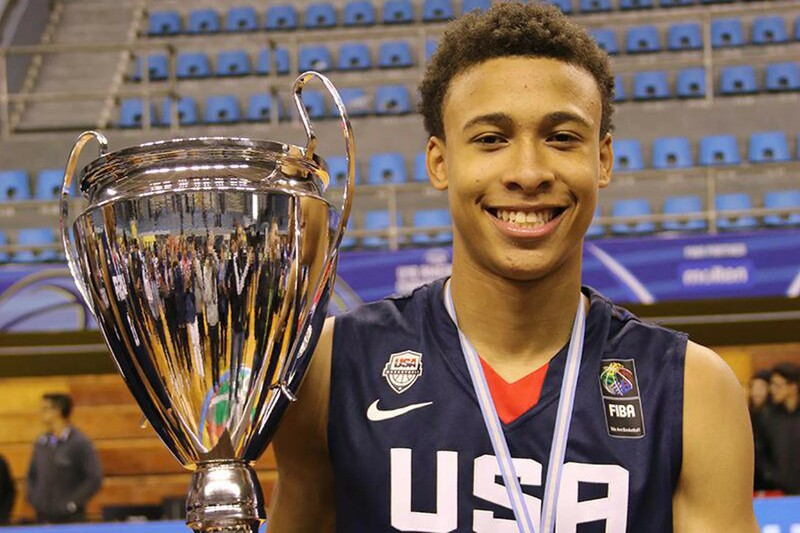 It didn't take long for speculation, to begin with, another key Duke prospect in RJ Hampton. The rising senior is down to four schools and may well reclassify and come out of high school a year early. While many thought the return of Jones would hurt the efforts with Hampton, think again. Here is a quote from Hampton in an ESPN article released today. "With Duke, you can’t go wrong, you’ve got the best coach ever and just seeing what he did with the freshmen this year makes it a real hard option to pass up." You can view the complete article in the link below. The bottom line is that the Duke staff has developed a relationship with Hampton and Hurt over time and that both players are highly interested in Duke on multiple levels. Players want to come to Duke. They want to play in the limelight and talented players recognize, the path that goes through Durham leads to exposure, improvement and the NBA. It remains to be seen who will join the brotherhood at Duke. But rest assured, the Blue Devils are not finished recruiting and they have their sights set on another run. For more detailed analysis and information on Duke Basketball recruiting and developing situations, visit the Blue Devil Nation Premium message board for site members. We are still running one year for a discounted rate. 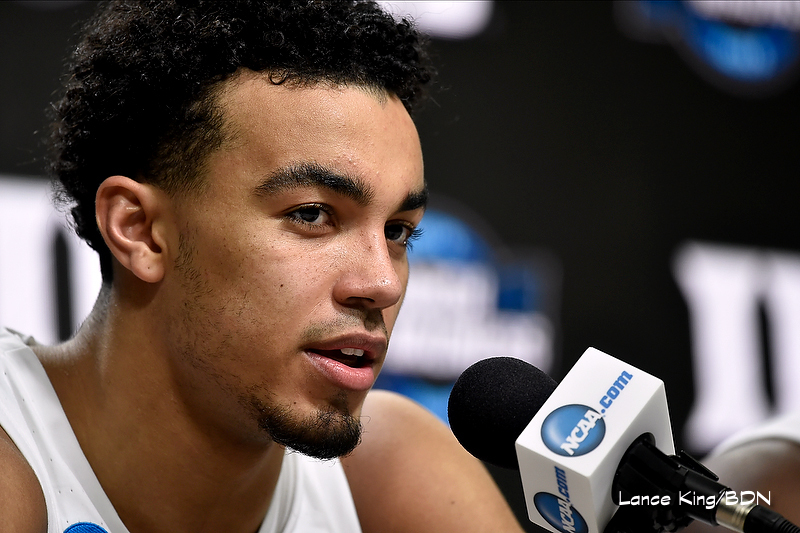 Can Tre Jones put together another great game? Or will the Spartans defense send him and his teammates home? A lot of questions will be answered tomorrow. The Duke Blue Devils will take on the Michigan State Spartans with a trip to the Final Four on the line. With the game just hours away, let's take a look at the matchup. Duke head coach Mike Krzyzewski has a gaudy record against Michigan State and Tom Izzo. Duke leads the series 12-2 and has a 4-1 mark in the NCAA Tournament, but forget about it for that means nothing when the ball is tipped tomorrow. These two teams have only one thing in common with the past and that is their uniforms and being two top-notch programs. The record book means nothing. I doubt the Duke staff lets the team be overconfident. If this does not happen, the team returns to Durham and some of the talented freshmen will soon be gone. Teams must live in the moment and make the safe plays at times over the crowd-pleasing ones for the margin of error shrinks in tournament games, especially the Elite Eight. Sure, Cam Reddish can knock down the three ball, but his defense is underrated. His presence allows Duke to play the passing lanes in a more active manner and his long arms take up a lot of space. Reddish is a game-time decision, but the team will need him. Sparty is 10-1 in their last eleven games and they swept Michigan who most thought should be flip-flopped in their regions. Obviously, the one and two seeds made it to the final in the East to nobody's surprise. Duke is hot too after winning the ACC Tournament but they have looked quite mortal of late. This game means the world to the Spartans fan base, but the same holds true for Duke and this is one of Mike Krzyzewski's best shots to make it back to the Final Four since 2015. Michigan State plays stellar half-court defense where it seems like hands are everywhere. When Duke is in its half-court offense they need to pay attention to having strong hands for if not, the turnovers will come. In a game with this meaning, making safe plays outweighs the showtime style. In my preseason preview, I mentioned four possible weaknesses. The first, of course, was injuries in that Duke is not especially deep with players ready for prime time. The second was that they could struggle from the three-point stripe and third, free throw shooting would be important. The fourth thing I listed was that teams with good guards and physical wings would give Duke trouble, especially if they hit the three ball. Well, Michigan State fits the bill. Duke must push them off the stripe and make them drive. Zion Williamson has had an amazing season and he should touch the ball in every half court possession. Good things happen when he gets the ball. The same goes for RJ Barrett who is a flat out stat stuffer. Michigan State has a lot of capable defenders to guard him, so his vision will play a key role. Making the safe passes will make Duke more efficient and tougher to beat. Duke has not been especially good on the offensive glass of late and Michigan State is a solid rebounding team. And they board from many positions with their activity. Duke needs to block out and hustle for the loose balls in this contest. This is a matchup of college basketball heavyweights. The Big 10 Champ against the ACC Champ and that means there will be plenty of tense moments. Duke has won their last two games by 2 points and they may have another game that comes down to the final buzzer. Hey, whatever it takes, right? Mike Krzyzewski mentioned that his team was fresh coming into the D.C. regional or fresher was his exact term. Does that still hold true after the late game where the team got little rest? It will probably depend on how the staff handles this evening before the 5:05 start. Who knows, but it will be a battle of styles. Duke will try to get out and press some while Michigan State will lean heavily on the three ball while hitting the board with their usual reckless abandon. Can Duke get back to more dominating performances? Will Michigan State play lights out ball to end the pain of their past against Duke? It will come down to heart and soul and playing a good forty minutes of basketball. The X-Factor could be an unexpected player stepping up and whether Duke is with or without Cam Reddish, their whole roster needs to play well. The problem with the X-Factor is that it can work both ways and players who step up become heroes. Do not look ahead. Be in the moment and you may cut down the nets as the Eastern Regional Champs. Texas Tech upset Gonzaga and awaits the winner, but that is to be discussed once the business at hand is accomplished.